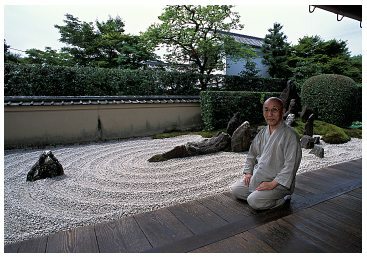 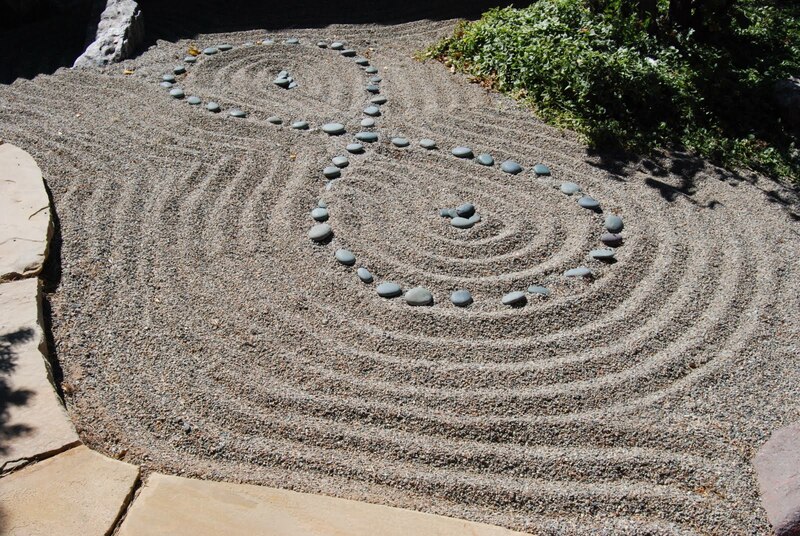 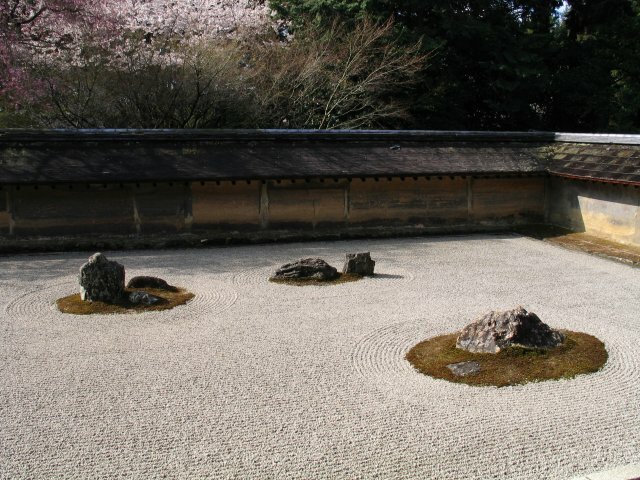 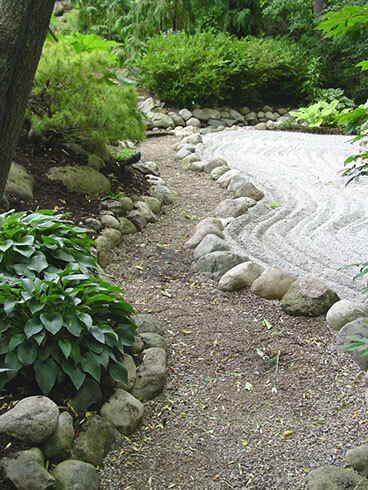 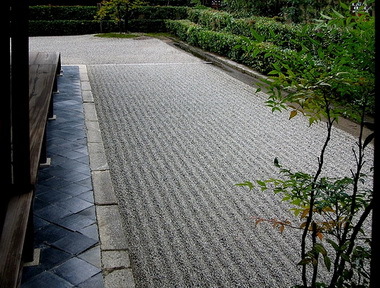 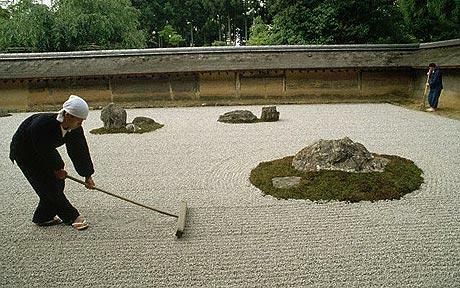 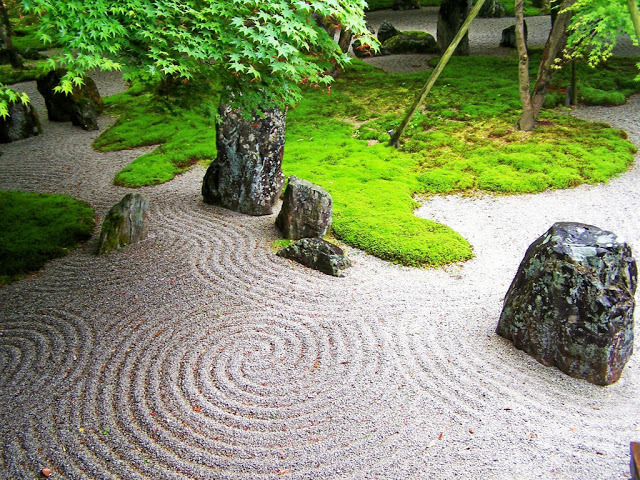 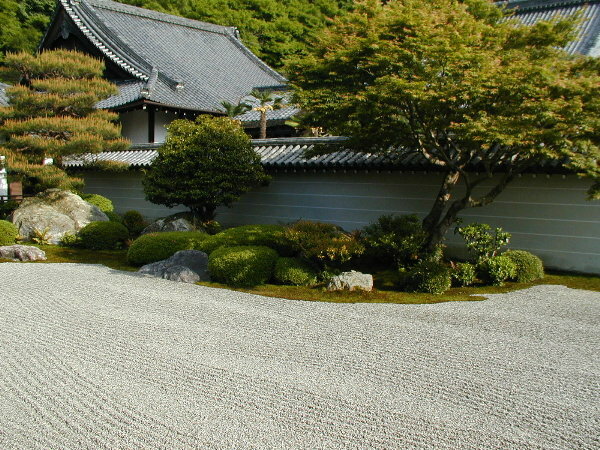 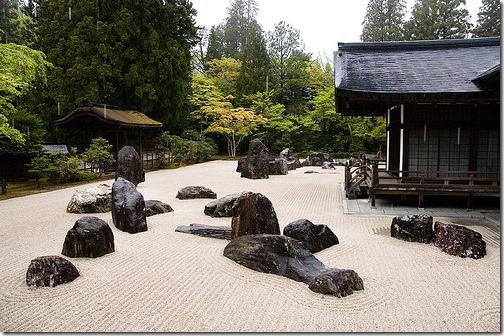 These gardens traditionally look like raked small gravel with large stones placed within. 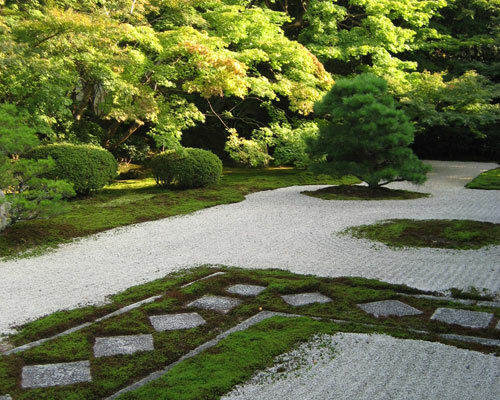 These gardens often have a border and may have moss planted at the base of large feature rocks. 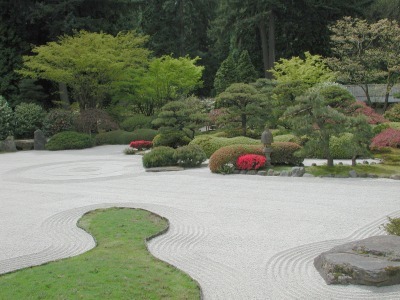 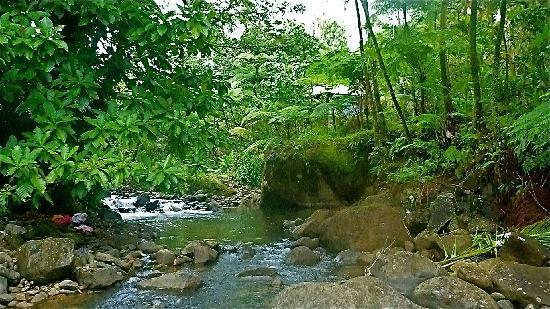 Plants and trees are used in a limited way within these gardens or not at all. 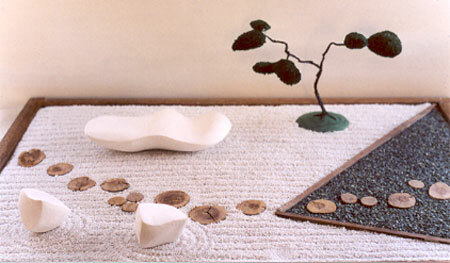 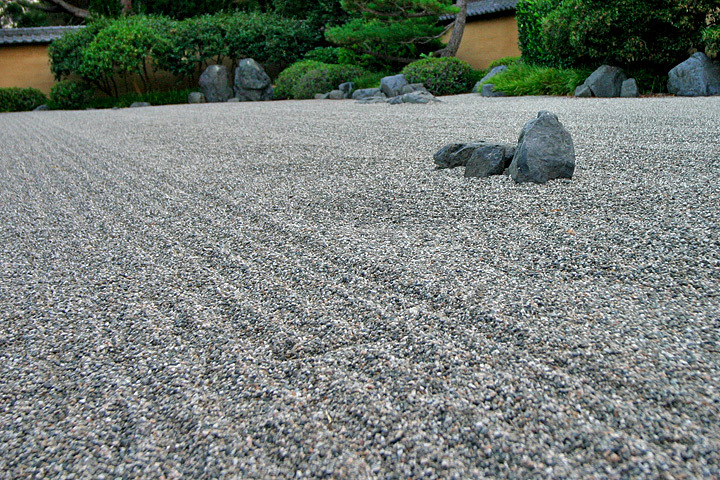 The small gravel is raked in patterns to represent the waves of the ocean and the large feature rocks represent the mountains arising from the sea. 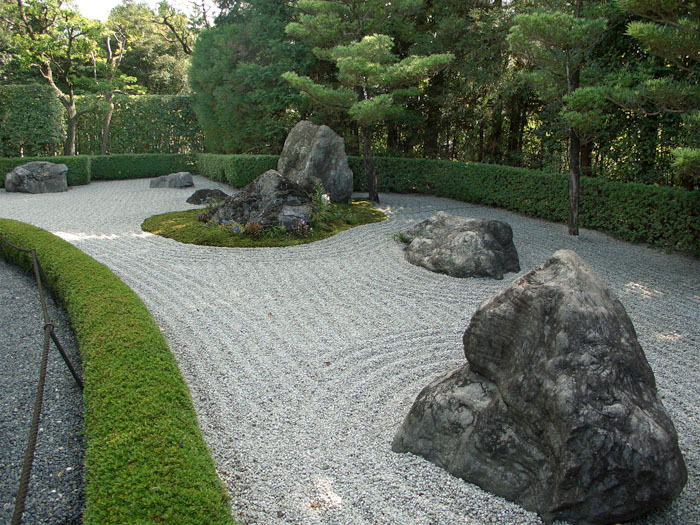 Ancient gardens of this type were designed by Buddhist monks to reflect the ideals of Zen Buddhism and are present in modern day Japan. 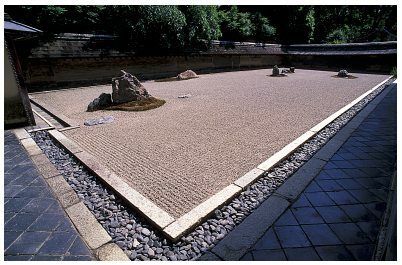 According to Takashi Sawano in Creating Your Own Japanese Garden, “Zen emphasizes the concept of simplicity in the sense of stripping away the surface layers to reveal the essential truth beneath, as is evident in the simple beauty of the dry garden.” This, Sawano believes is the reason for the rising popularity of the dry garden today, when the pressures of life are so clearly present that we seek peace and tranquility in garden forms such as the Karesansui or dry garden. 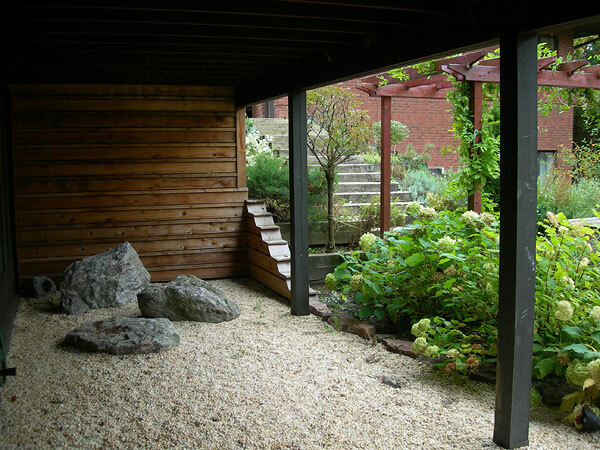 The Karesansui form can also be adapted for use in courtyard gardens or glass enclosed spaces off dining areas to create a sense of beauty and peace while dining. 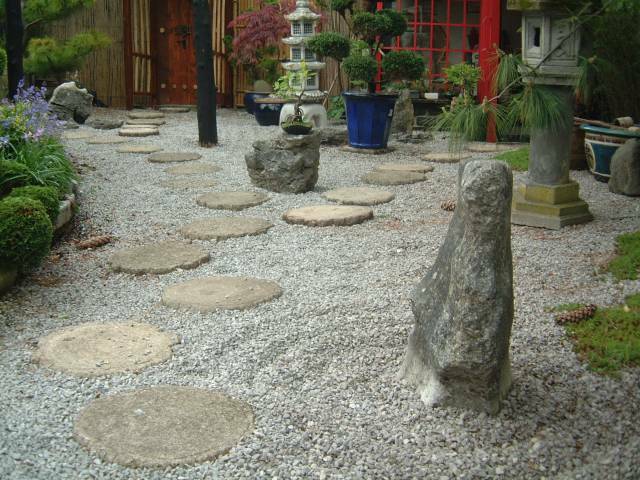 These gardens are usually large in dimension and are designed to be walked through, giving the viewer scenic areas or spots to enjoy. 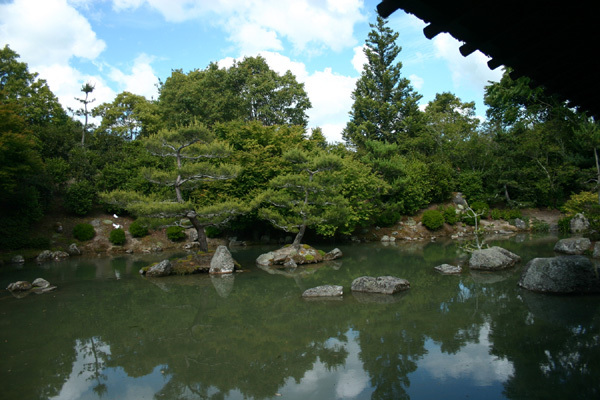 Kaiyushiki gardens are also called strolling gardens and generally have a water feature as a focal point. 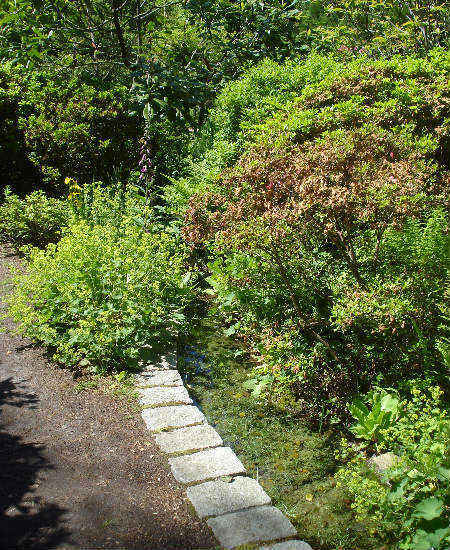 Paths within these gardens reveal different landscapes such as raised beds with Japanese Acer Palmatum maples, a bamboo grove, waterfalls, streams, forests with flowering azalea and rhododendron, weeping cherry, Japanese pine and open meadows often dappled with stones. 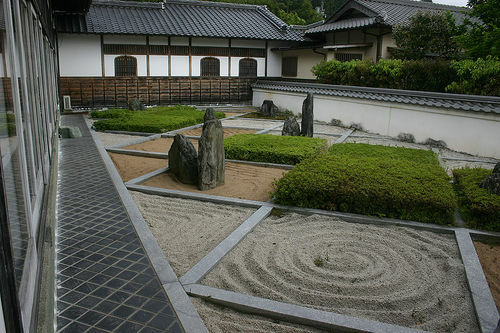 Elements in these gardens are placed so that the eye travels outward when standing on the pathway at any given point and often the next feature is tucked away out of sight until you come upon it visually and “discover” it. 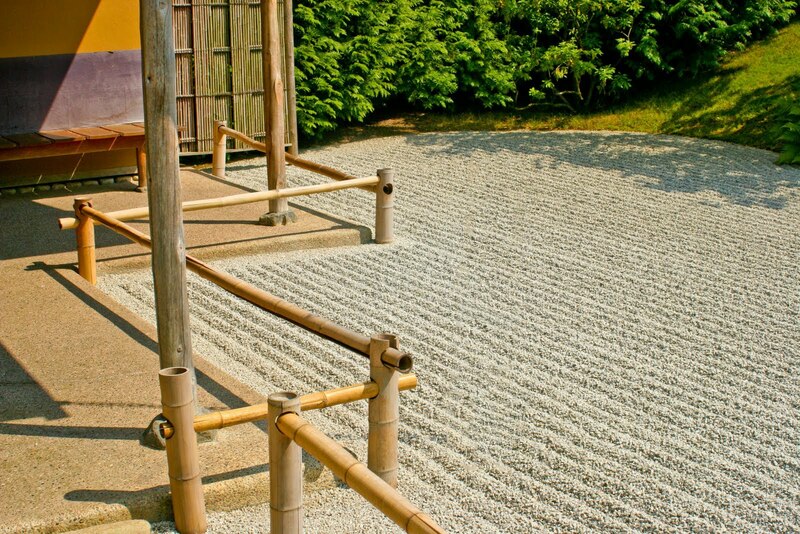 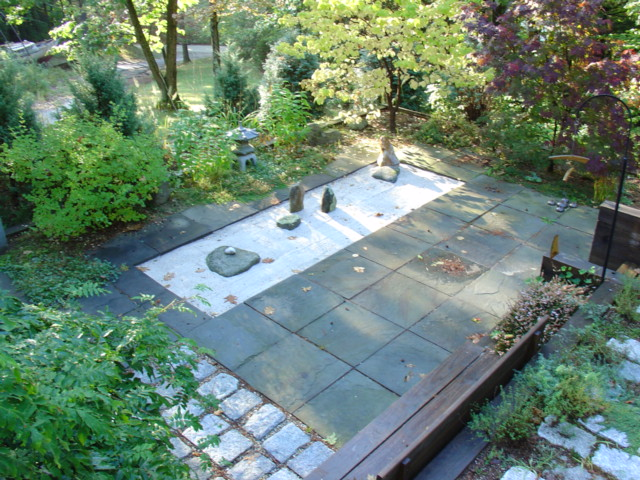 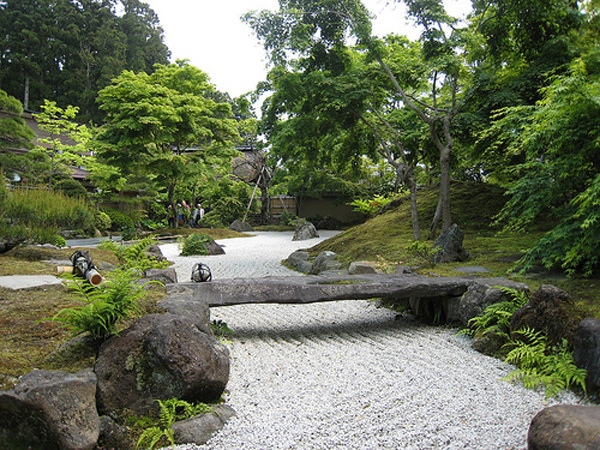 A Chaniwa garden is a Japanese style garden, which is planted in front of, or surrounding a teahouse. 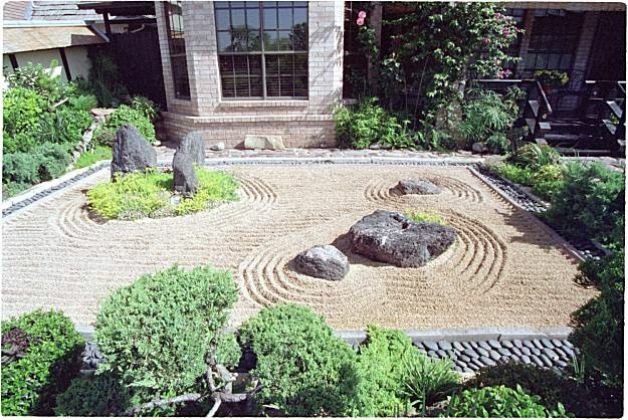 This type of garden is usually small and appointed with both a lantern and water basin to assist participants coming for a tea ceremony. 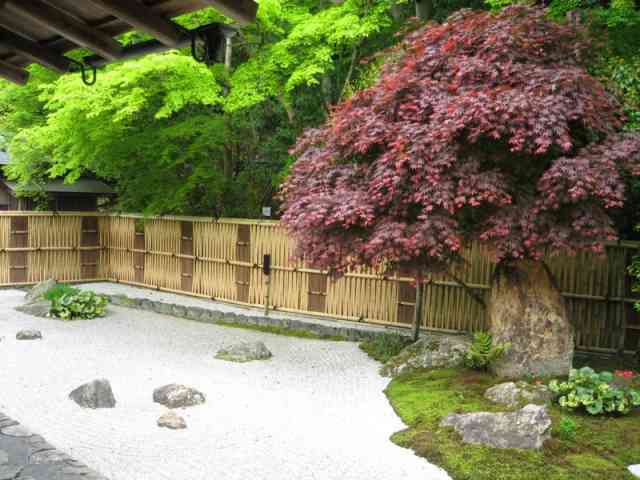 The lantern is placed along the pathway leading to the teahouse and the basin is used to cleanse the hands and palette before entering the teahouse. 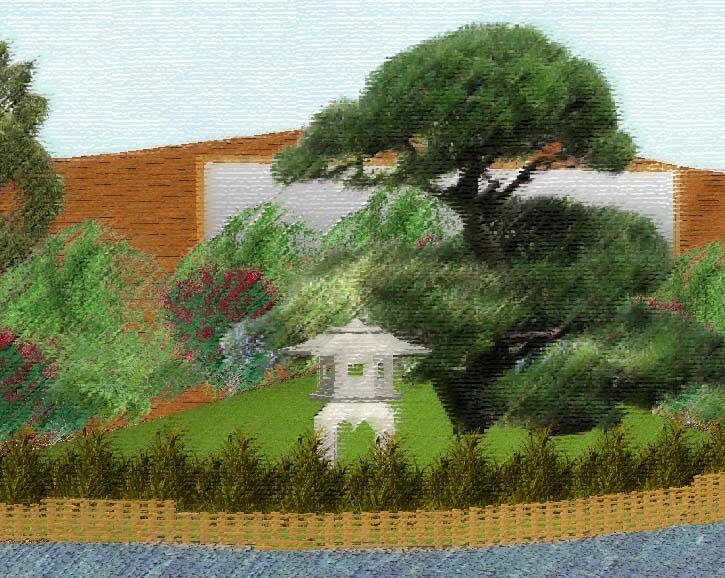 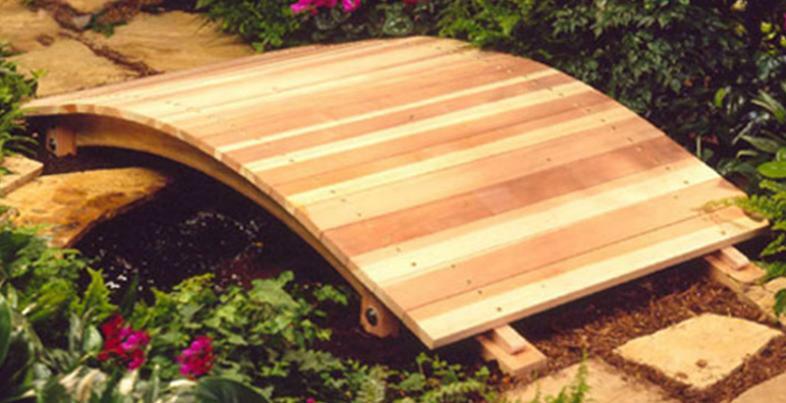 These Eastern gardens can easily be adapted to Western gardens and created for small space areas such as alongside a home or garage, a courtyard or fenced in area, small back landscape and even indoors. 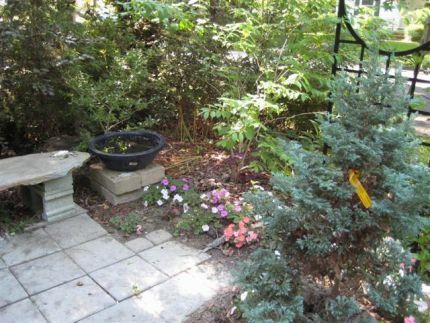 Plantings are usually kept to a minimum. 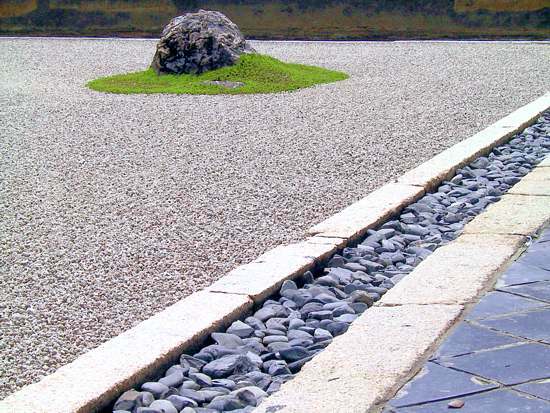 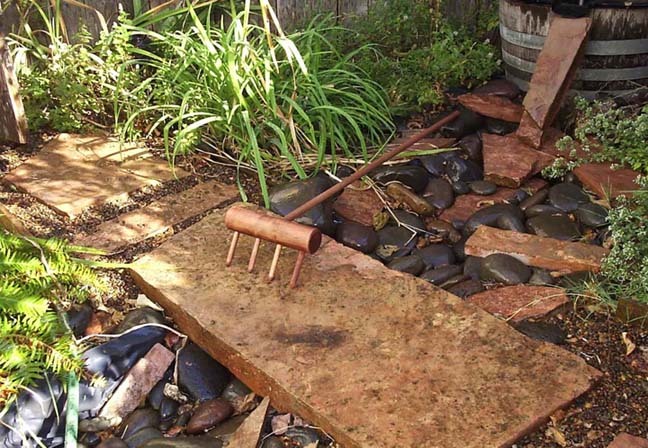 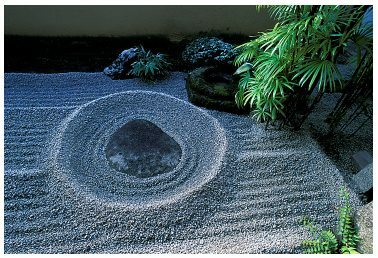 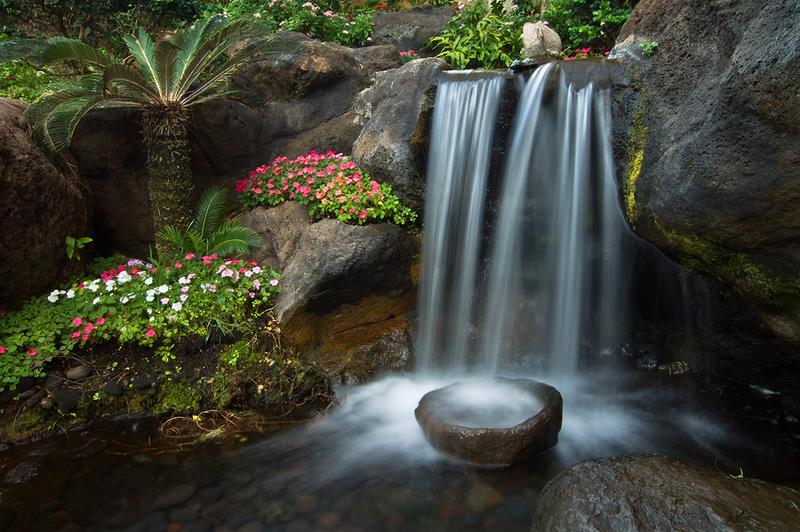 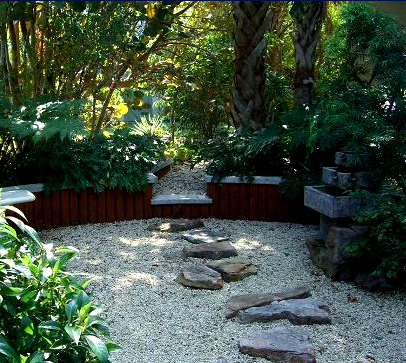 These gardens are especially visually effective when they include different size stones and rocks, bamboo and a water basin.